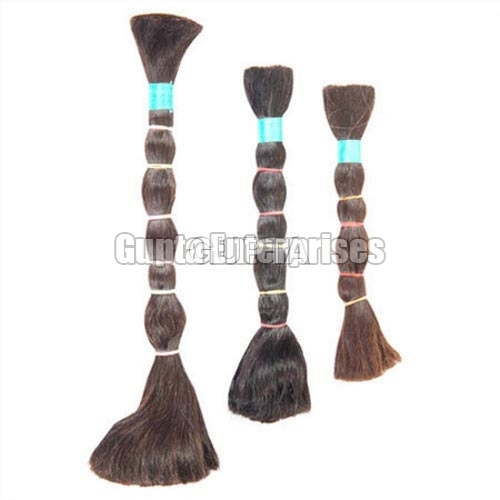 We offer premium quality Remy Double Drawn Black Hair that is made of 100% natural Indian human hair. The hair on both the ends is trimmed to keep the tails and heads straight. The entire range of Remy Double Drawn Black Hair is tangle-free, smooth in texture, easy to wash and pitch-black in shade. Lesser amounts of hair-sprays and gels are used to stylize the Remy Double Drawn Black Hair. We offer shining, clean and durable Remy Double Drawn Black Hair in a variety of lengths at the most competitive prices.